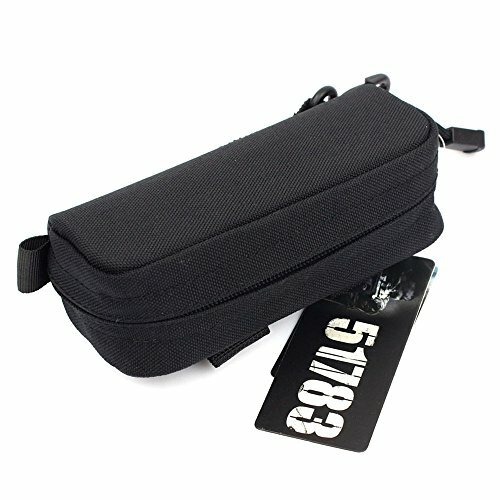 WYH CHOOSE OUR TACTICAL MOLLE ZIPPER SUNGLASSES HARD CASE? A tactical glasses hard case for our fellow outdoor enthusiasts. Secure it to your MOLLE gear or tear off our morale patch and just slap the case onto a Velcro backing. Large enough to hold the most macho and epic sunglasses, crush resistant, chaos-proof, with a pivoting hook and small loop attachments. All kinds of usefulness. Classic design with MOLLE system. MOLLE style attachment straps gives a lot of variety to clip on other items like belt, vest, backpack, platform, etc. If you have any questions about this product by LytHarvest, contact us by completing and submitting the form below. If you are looking for a specif part number, please include it with your message.